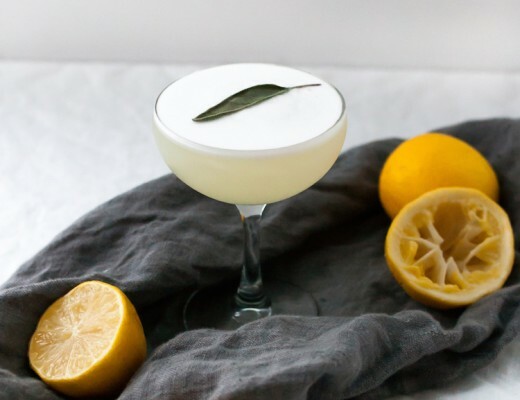 I love a good Ramos Gin Fizz! 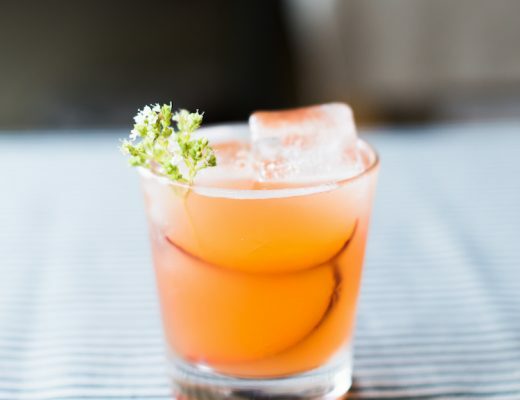 this New Orleans Classic is a delicious almost dessert like drink. 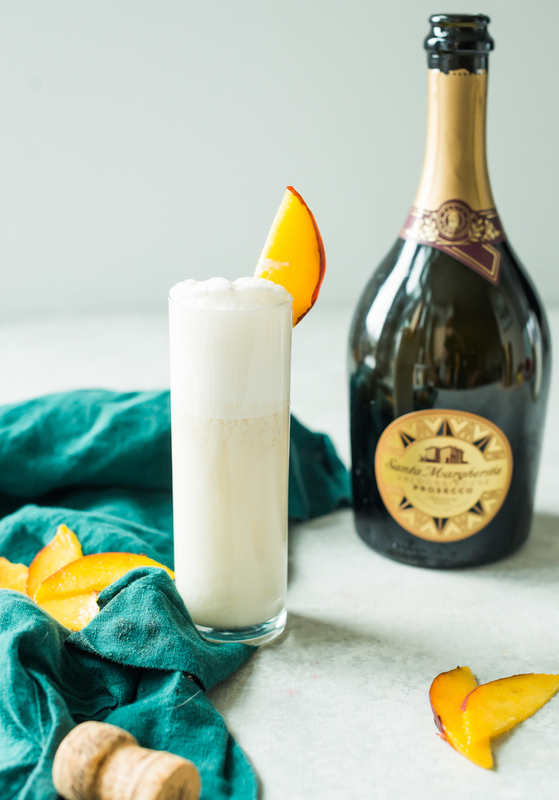 I love mixing up this classic (whether a Carrot Cake variation or mixing in flavors of ginger bread) I decided to add in prosecco and fresh peaches to make this insanely sip-able Prosecco Peach Ramos Fizz. 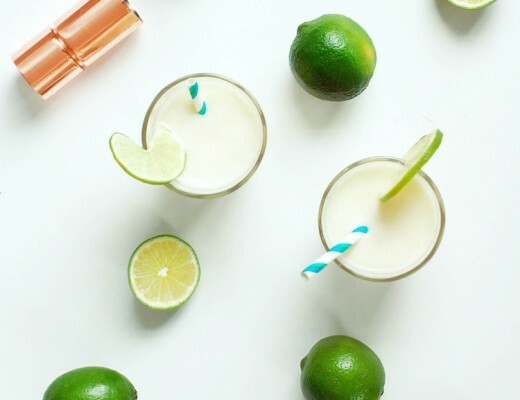 This Ramos Fizz is a creamy citrusy cocktail kissed with floral notes, completed by fresh-from-the-farm peaches that are HEAVEN. Usually made with soda water, this drink is made extra luscious and indulgent topped off with Santa Margherita Prosecco for the fizz. 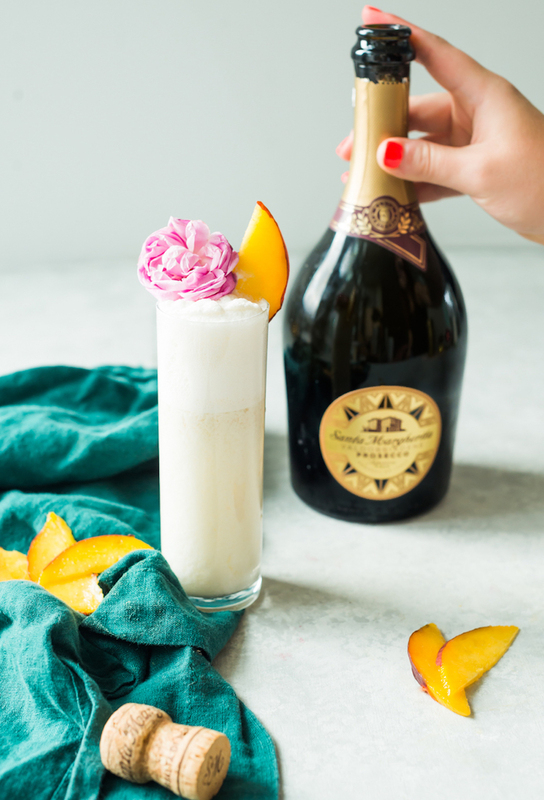 When having an indulgent cocktail like a Ramos Fizz might as well go all in with some bubbly! Add all but the Santa Margherita Prosecco Superiore DOCG into a shaker without ice. Shake for 2-3 minutes hard to whip the egg whites. Add ice and shake for 12 seconds. In a collins glass, add the Prosecco (just like in mimosas, add the sparkling wine first.) Slowly pour in the cocktail until the foam rises above the glass. Garnish with peach slice and edible flower.